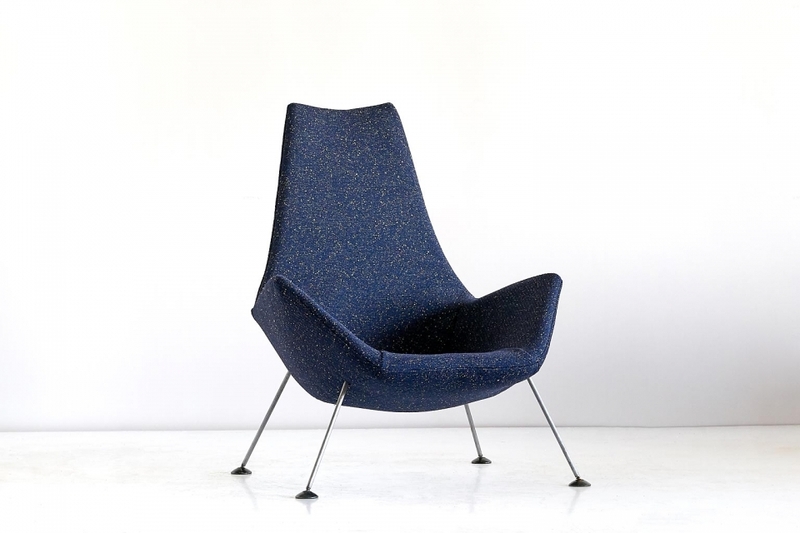 This rare lounge chair is one of the earliest armchairs designed by the British designed Peter Hoyte. 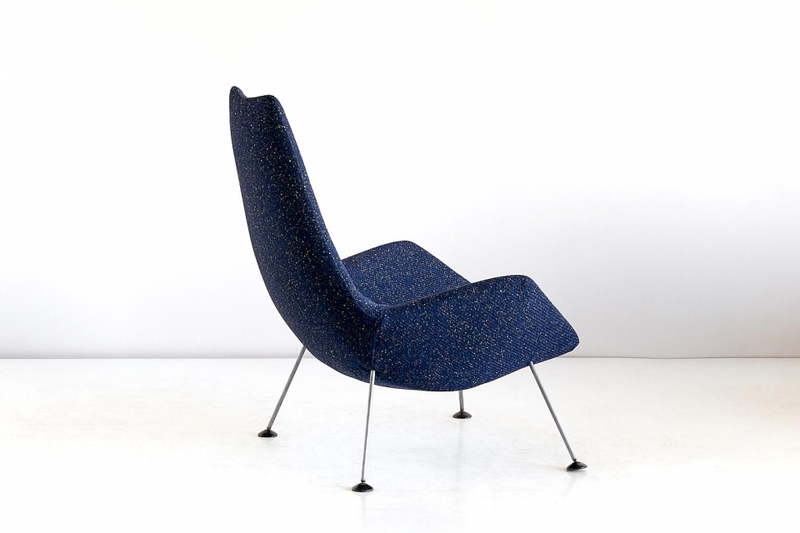 The dynamic and sculptural shape of the body is emphasized by the splayed metal legs ending in round black feet. A striking and comfortable design. 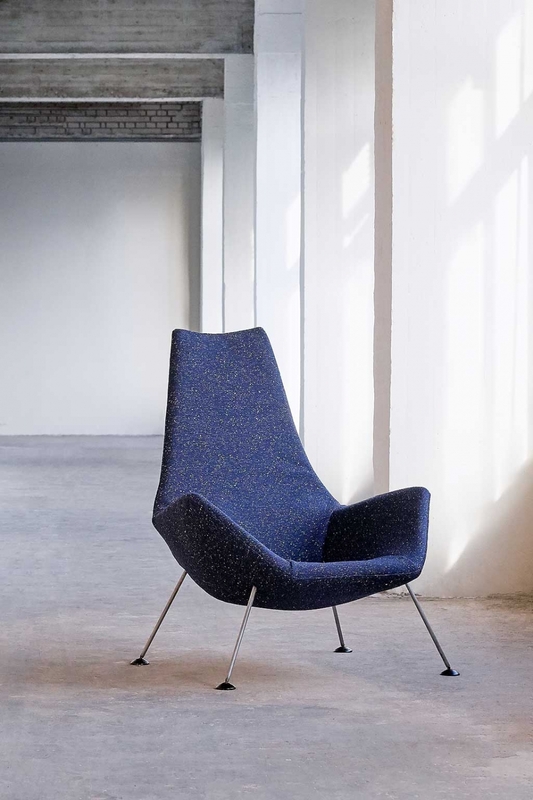 The chair has been fully reconditioned and newly upholstered in a sophisticated blue “Pilot” fabric designed by Raf Simons for Kvadrat. This soft bouclé fabric combines the intense colour of merino wool with the lustre of contrasting yarns. A sample of the fabric is available upon request, please contact us for more information. Together with his more widely known contemporaries Ernest Race and Robin Day, Peter Hoyte was one of the leading figures of the British mid-century modern period. His designs were very innovative at the time, using single mould glass fibre shells and foam layers of varying densities. Nearly all of his designs were manufactured and finished by hand in his own small firm in the United Kingdom.